Are y'all ready for another Decor Steals Giveaway? I love when their daily emails pop in my inbox every morning at 10 ET and I click on to see what steals are being offered. Recently I shared this wooden bowl that I got from them. It is one of the found items they offer from time to time. Be on the lookout for when they run those deals. I purchased this cow head a couple years ago and hung it on my hood above my cook top and then it moved to another location. Another piece I love, that you can't see real good, is the preserved boxwood wreath that I tucked in an olive bucket. I have hung it on an old breadboard, too. So many uses for these and they aren't just for Christmas. Here are a few future steals. Cute galvanized cake stands. These can be used in so many different ways. They're not just for cake! Nice enamelware tray. So many uses for trays and I love the farm house appeal of the enamelware. 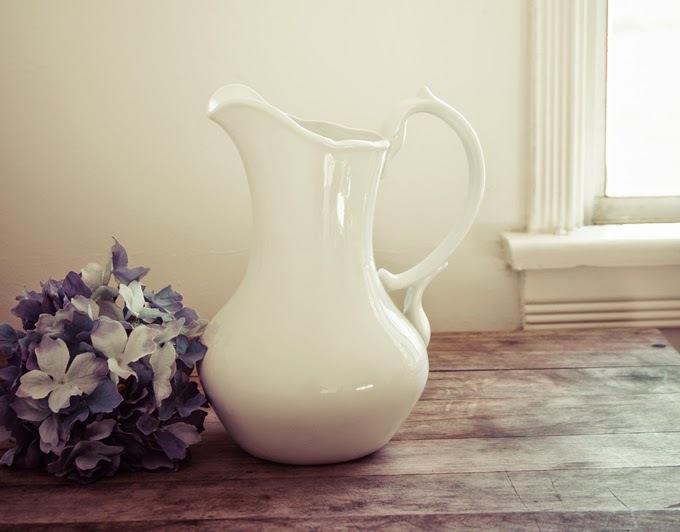 This ironstone pitcher is nice and y'all know I love ironstone. I love the unusual handle. Today's steal is this bamboo rug and it sells out quickly so don't miss out! Friday's steal is the cow head like the one I have. 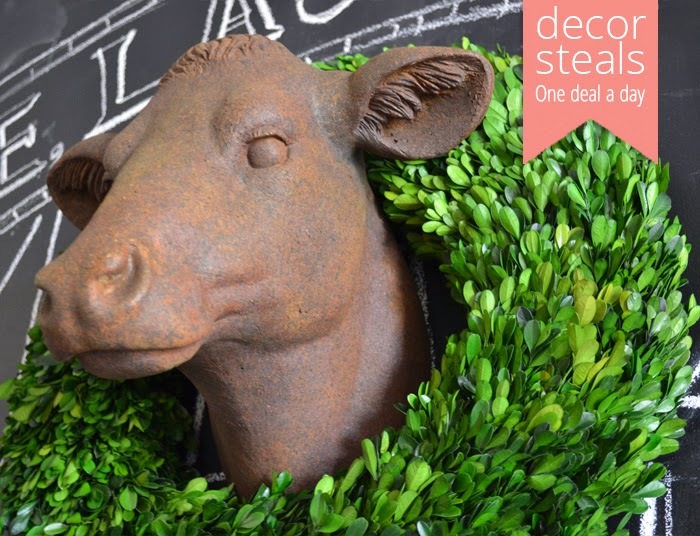 Decor Steals is offering a $50 gift certificate to one winner. There are four different ways to enter and leave a separate comment for each one. 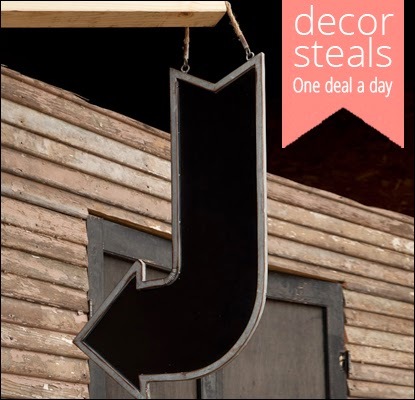 Entry One: Check today's deal at Decor Steals and extended steals and tell them which deal strikes you the most (PS you can also vote for a future steal by liking any of the deals in the Pick Steal section.) Pretty cool, right? Entry Two: Subscribe to their email newsletter HERE so you don't miss out on the daily deals and flash steals in the future. Entry Three: Like their Facebook page HERE. Entry Four: Like them on Google + HERE. This is open to U S residents only. A winner will be chosen using a random number generator in three days. If you don't have a blog please included your email address in one of the comments not a separate comment. Really like them on Facebook! I LOVE Decor Steals!! I subscribe to their newsletter. 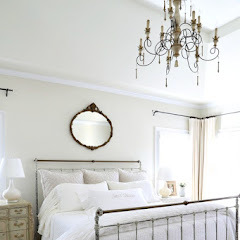 And I follow Decor Steals on Google Plus! Thanks for the chance to win! The boxwood placemats are fun! I subscribe to their email. I love Decor Steals. I am a follower and I also subscribe to the daily steals and I liked them on my Facebook page. Just ordered the Mason cookie jars for neighbor gifts for Christmas. Love their deals. Thanks for the chance, Kim! Facebook follower! The wire gym baskets are cool, love the chalkboard arrow and I've been coveting those cake stands for a while now! Yes, I pretty much love it all! That vintage tray is beautiful. I already subscribe to their email newsletters. I have already liked them on facebook. I like the wire baskets for sale. I love all decor steals. I get them every day and already like them on facebook!!! I subscribe to their emails. I don't want to miss a thing! I already following them on Facebook. And, I already following them on Google+. I'm all covered. Thank you for the opportunity to win. I already subscribe, like them on FB and for the pick steals I said I want that three tiered tray. I have that cow head for my new kitchen and love it, posting soon!!! Thanks for the chance Kim. I like them on Facebook and receive their e-mails. LOVE the bamboo rug today!! Wow so many great items, I like them all !!! My favorite right now just might be that glorious cow head!!! Love Decor Steals on Facebook too!!! Thanks for the link to sign up for their emails, consider it done! I already subscribe to their email/newsletter. Thanks! Can't wait for the cow head tomorrow! I have been waiting for that one for some time. Thanks for the chance. I can think of many uses for the three tiered wire stand. I already subscribe to their email. Love the ironstone pitcher and cow head! Must have that cow head. In a former life I think I must have been a cow. If I win I know I'll lose sleep over where exactly to place her in my kitchen! It's a chance I'm willing to take! 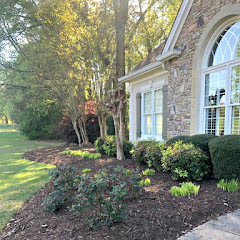 I love the preserved boxwoods too.... I love your blog. Thanks for the giveaway. Oh I have admired this Typography bamboo Area Rug 6'x10' for sometime. Thanks for the chance at this great giveaway. A subscriber to their emails. Crossing my fingers for this one! I like them on facebook also. 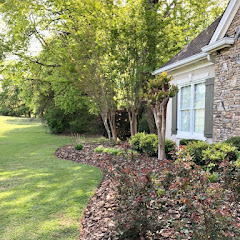 I am following on google +! Thanks again. 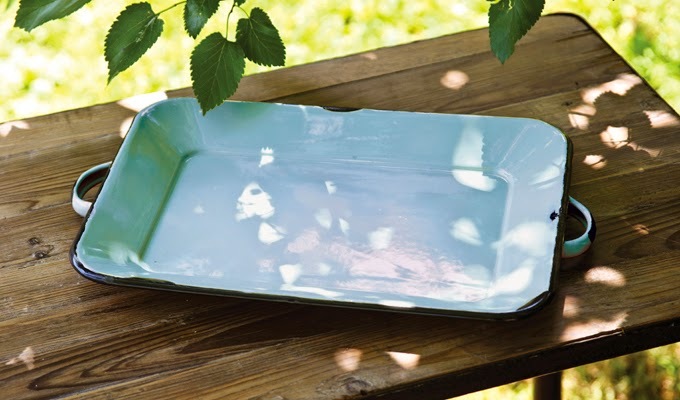 Love the enamel tray on the site! 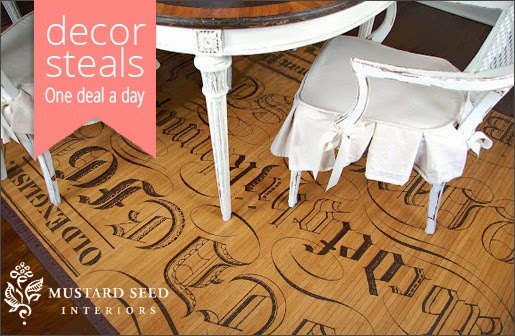 Love Decor Steals.....always interested when there is a e-mail from them to see what great deal they have. I subscribe, friend on FB and Google. The items always bring a smile to my face. I already get their email newsletter and look forward to seeing what is offered each day. 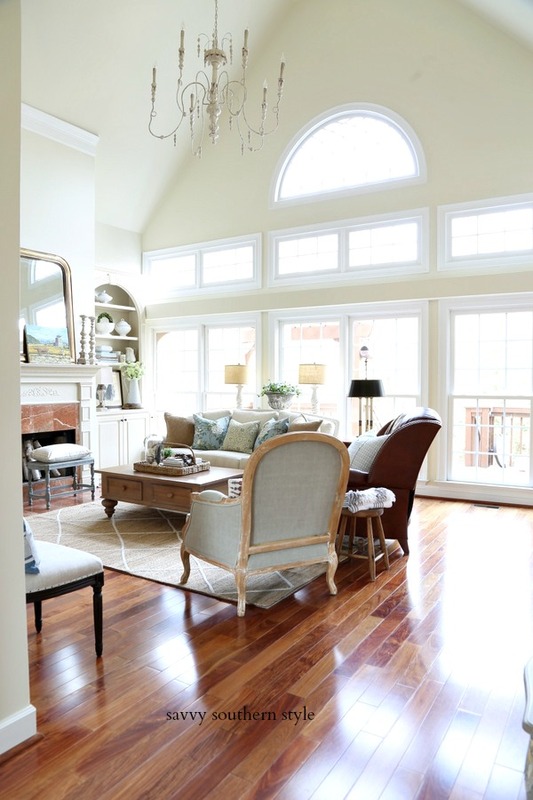 I really like the giveaway of the bamboo rug! If I did Facebook I would like them! I really do like that typography area rug! Beautiful. My favorites are the enamel tray and that chalkboard arrow. I love the rug today - I have the smaller version and I have the cow head for tomorrow as well!! Love Decor Steals!! I already subscribe to their newsletter!!!! Of course I "like" them on Facebook!! I'm a junkie with Decor Steals!!! Great giveaway!! I like the metal wall storage shelf in their Flash Steal today. I already subscribe to these. I can't decide if I like my large angel wings or the grain fabric the best. I really loved the Victorian Heart Mirror. Definitely subscribed to receive their emails. Love the metal wire gym baskets! I'm subscribed to Decor Steals emails! Kim, I am amazed how much you get done. I have so many things from DECOR STEALS...I follow them every where...I hate to miss a STEAL!!! :) Good Luck to everyone!!! I've already liked them on FB. I like platters on the extended steals. I like the three tiered wire basket for Pick A Steal. LOVE LOVE LOVE Decor Steals, Kim!!!! And I would love that yearling heifer head!!! Thanks for the great giveaway! 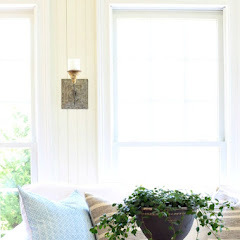 I am a huge Decor Steals fan on facebook! i like that trimmed bag in the blue. i already get their emails. and like them on fb. thanks! 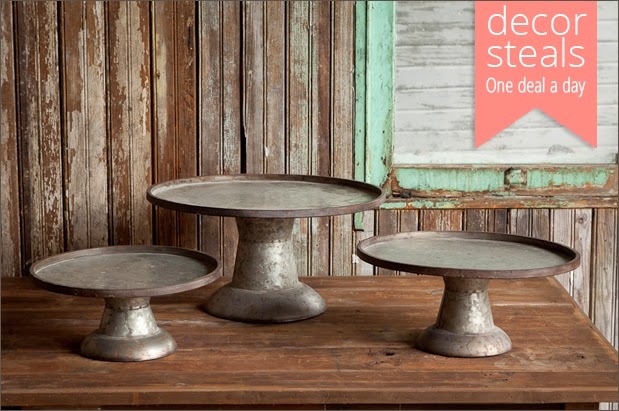 I love the galvanized cake stands! Thanks for the giveaway! I love the pick a steal wire tiered basket. I'm a daily email subscriber too. Love seeing what new item they offer each day. I liked the cow head a Facebook today. galvanized cake stands is my favorite today -- like the cow head too but I really like your wood bowl -- wow everything would be nice to place in my home! Thanks for sharing.. I subscribe to their daily newsletter. I love the EUROPEAN STRIPE FEEDSACK SOFT JUTE BAG deal. 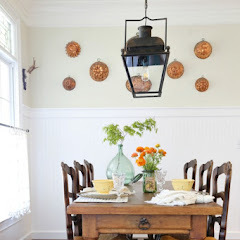 I like the Farmhouse Nesting Wire Baskets!